USFantasy, owned by Vic Salerno, won unanimous approval from the Nevada Gaming Commission to bring back fantasy sports to the state just in time for football season. If Roger Goodell got his wish, he would be the face of fantasy football. 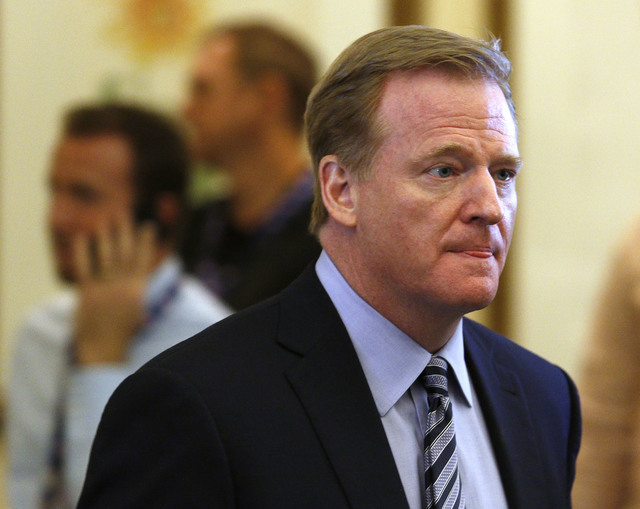 The NFL commissioner would promote the contests as a fun form of family entertainment, and a significant share of the profits would go into his league’s deep pockets. He would continue to argue fantasy sports has nothing to do with gambling. He would partner with DraftKings and FanDuel in a plot to take over the fantasy world. He would become a popular guy. Goodell has tried all of that, of course, and failed. He’s good at making weak cases while keeping a straight face. He’s especially good at remaining unpopular. The issues clouding the legality of the daily fantasy sports (DFS) industry are for state lawmakers to debate. FanDuel and DraftKings ceased operations in Nevada in October, when the Gaming Control Board declared DFS is gambling under state law and the companies required a license to operate. That was bad news for most fantasy players. The good news: Salerno is bringing back DFS to the state just in time for football season. Salerno owns USFantasy, which Thursday won unanimous approval from the Nevada Gaming Commission to operate fantasy sports contests through a pari-mutuel wagering system. He plans to unveil the platform in August, and he estimated “80 percent” of the state’s sports books will offer it. 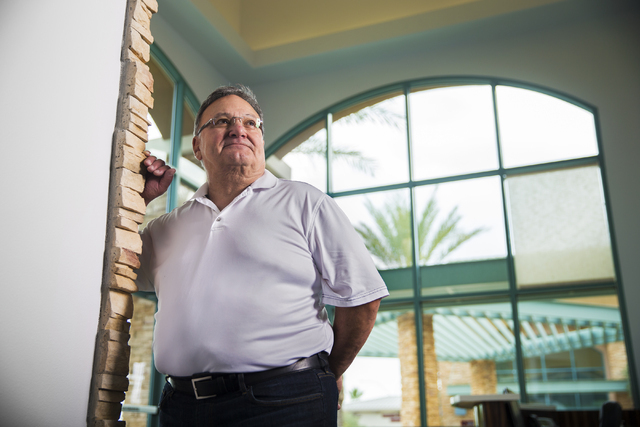 Salerno, who became a Las Vegas bookmaker in the late 1970s, has credibility and vision. He created the state’s first mobile betting app. Now, he holds the first DFS license granted by any regulatory body in the United States. But USFantasy has a better game plan than horse racing. The NFL will drive the action — other major sports will be offered, too — and the average takeout from the pari-mutuel wagering pools will be about half of the 20 percent in horse racing. The fantasy contests will offer win/place/show and exotic wagering for all contests offered. For fantasy football, a $1 million progressive jackpot Pick 7 contest is planned for correctly selecting the winners of seven different categories. For example, a wager could be placed on Dallas Cowboys quarterback Tony Romo to have the most passing yards in Week 1 of the NFL season. The odds on Romo, similar to a horse, will be updated on an odds screen. There also will be categories for running backs, wide receivers and more. The state receives a percentage of the handle, but one sticking point is that USFantasy is currently licensed only in Nevada, so the wagering pools are limited. Salerno has a bigger vision. He has hired lobbyists and is actively working to get licensed in states such as California, Colorado, Indiana and Pennsylvania, for starters. “The biggest thing is to take the contest out of state to create a larger pool,” he said. The DFS industry attracted scrutiny by legislators last year by launching a barrage of in-your-face ads that glorified huge jackpots won by the Average Joe. At almost every commercial break, there was a goofball bragging about playing (or betting) a small amount of money and hoisting a giant check for $1 million or so. The commercials, Salerno said, amounted to “false advertising” that drew “more minnows” for the sharks, meaning the wiseguys were winning the big pots while the squares made donations. Dominoes fell as, one by one, states started banning DFS as illegal gambling. FanDuel and DraftKings are not expected to apply for a license in Nevada in the near future. Lawmakers in New York last week approved legislation for the DFS sites to resume operations under strict regulations. The states simply want a piece of the pie. Goodell and the NFL want a cut, too. The NFL blocked Romo from hosting a fantasy football convention in Las Vegas last summer and in Pasadena, California, this summer. Goodell opposes legal wagering because he said it threatens the “integrity of the games,” when in reality legal wagering protects the integrity of the games. He also opposes the Las Vegas Raiders, even while many of the NFL’s most powerful owners promote the team’s proposed relocation. The best news: Fantasy football is coming back to Nevada, and Salerno is the face of it.